In 2013-2014, Maya served as the inaugural Social Entrepreneur in Residence for Duke University and Visiting Professor for the Practice of Public Policy at The Sanford School of Public Policy at Duke. 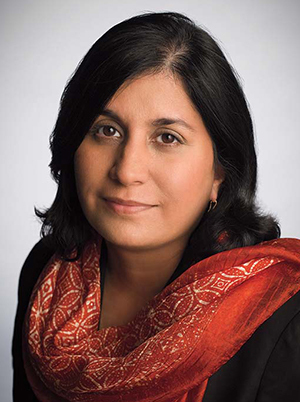 From 2011-2014, Maya was a Visiting Scholar and Professorial Lecturer at The Paul H. Nitze School of Advanced International Studies (SAIS) at The Johns Hopkins University. She continues to serve as an adjunct on the faculty of the International Development Program and teaches the course, "Social Innovations in International Development for Children and Youth." In 1993, Maya founded The Global Fund for Children (GFC), a nonprofit organization that invests in innovative, community-based organizations working with some of the world’s most vulnerable children and youth. Under Maya's 18 years of leadership, GFC grew from a vision into one of the largest networks of grassroots organizations working on behalf of vulnerable children. To date, GFC has awarded nearly $40 million to more than 700 grassroots organizations in 80 countries, touching the lives of nearly 10 million children.